Ecuador has suspended Julian Assange’s citizenship and accused him and members of his WikiLeaks group of collaborating in attempts to destabilize the Andean nation’s government, after years of offering him shelter. 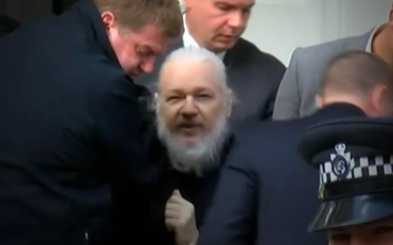 A bearded and frail-looking Assange was arrested by British police on Thursday after Ecuador terminated his asylum at its London embassy, where he had lived since 2012 to avoid extradition to Sweden over a sexual assault investigation. Assange’s Ecuadorean citizenship was suspended on Wednesday, Foreign Minister Jose Valencia told reporters. To some, Australian-born Assange is a hero for exposing what supporters cast as abuse of power and for championing free speech. To others, he is a dangerous figure who has undermined the security of the United States and has too many ties to Russia. WikiLeaks angered Washington by publishing hundreds of thousands of secret U.S. diplomatic cables that laid bare often highly critical U.S. appraisals of world leaders, from Russian President Vladimir Putin to members of the Saudi royal family. Assange’s lawyer in Quito, Carlos Poveda, told reporters asylum was terminated in reprisal for corruption allegations against Moreno and that his life will be in danger if he is extradited to the United States. "This sets a dangerous precedent... any journalist can be extradited for prosecution in the US for having published truthful information about the US"
"Lenin Moreno is the greatest traitor in Ecuadorian and Latin American History"
Uh, the last seven years have not been kind to Assange. He looks more like he's 90 years old... He should have just given himself up to authorities instead of his self-imprisonment in an embassy. He probably would have served his sentence(s) by now. Not always. I recall many lawsuits that have given inordinately large settlements to individuals or groups on specious grounds. Our jury system sometimes favors the poor. In most cases, the rich, who can afford good lawyers, get far better results though. Especially for white collar crimes. I think that Trump will try to give him a break and maybe even pardon him at the end of a second term, if he is reelected. I certainly hope he gets good treatment in prison. I think they got the information from the gentleman who was killed on the street in Washington D.C. He was working for the Democrats. I can't recall his name right now. No, that would be Castro, Chavez, and Maduro by far. A prosecution is OK but I don't think he will be persecuted as he has been. I hope he is eventually pardoned if found guilty. Just another blatant lie by Demoncrats. Why did they wait all this time to arrest Assange? Quite simple, he's been in possession of a "dead man" switch where he kept certain systems in standby or otherwise they would dump a treasure trove of damning information. We saw the inkling of this when the Ecuadorian consulate lost internet a few years back. The Intel agencies were monitoring to see where the stay alive packets were going. It is a testament to how smart Assange is that it has taken them this many years to find the stash and disable the "information bomb". The shocked look on his face says it all, they've got him and his protection didn't work. The info bomb had been defused. It is not "if he is found guilty," it is "WHEN he is found guilty." Virginia is a militaristic State. Has been since before the Civil War. Still is today. Always will be, as long as the USA operates its massive, stupendous military-industrial complex. Eisenhower warned against this; his prescient warnings fell on deaf ears. And still do, today. Assange is headed for a very long jail sentence, which I predict will be served at Marion Penitentiary, a "super-maximum" jail built for the worst of the wort, the most violent, most dangerous criminals. Why? You already know that Assange is not a violent person, he represents zero threat. 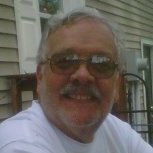 They will lock him up in Marion just out of malice and spite, to inflict as much hurt and pain as they can. He will be in a concrete cell 6 feet by 10 feet until he dies. Pardon? Not much chance of that. He is a dead man. Literally. Welcome to America, Justice Dept style. Teach him to embarrass the Government. The Russians will never give up Snowden. Snowden lives a pretty good life in post communist Russia. Snowden is a clever and competent lad. He is intelligent and he knows what will happen to him if he returns to the good old USA.As for Assange he is a different character and anybody who decides to hang out in a South American embassy ain't to bright. Don't lose track of the fact much of what Assange brought out, and Snowden, needed to be shown the light of day. Personally think Assange is bent, he's probably got a wrapped hatred of Hillary to where he'd side with a totalitarian over her, but his fundamental info is right. And it needed to out there. Treason info leakage is to me more along the lines of the Walker family. And a lot of what Assange and Snowden published, really, you had to have your blinders on not to know it. It was embarrassing, but hardly a surprise, more like a confirmation. I certainly hope you are wrong. I consider him a hero. He and Snowden have shown us the worst side of our government. We have given our spy agencies far too much money and power IMHO. I would like to see funding cut and the Patriot Bill revised, making it less powerful. I am very concerned by the fact that all our large agencies now have their own individual armies to use as the President wishes. 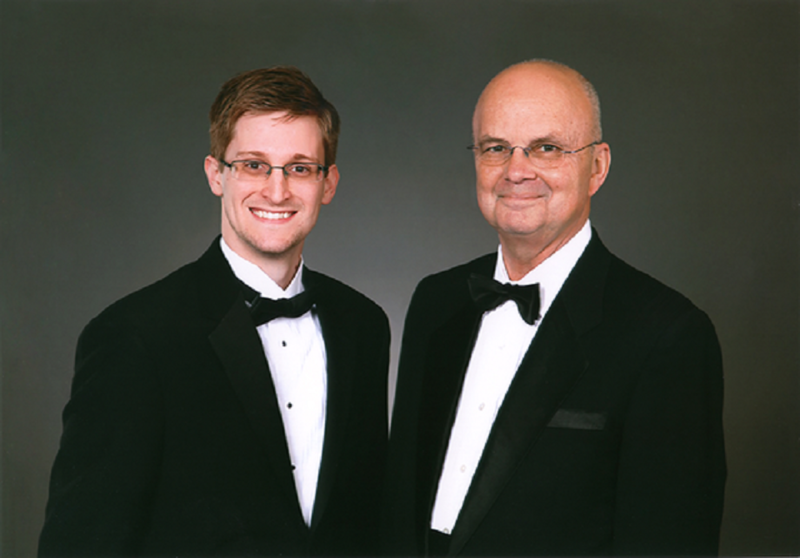 I would like to see Snowden make a deal with Trump where he would actually be an informant for the Trump administration. Same with Assange. Maybe Chelsea Manning too, but maybe not since he was a soldier. Ron, the "worst side of our government" is not even hinted at in the Assange cable leaks. There is what the conspiracy theorists call the "Deep State," basically rogue mini-governments inside the government, all paid unwittingly by the taxpayers, that ignore the President, the Congress, the military, and do whatever they think they can get away with. Murder? That is routine. Government overthrows? Sure, been doing that since 1954. Setting up invasion armies? Think Bay of Pigs. Computer infiltration and sabotage? Sure, that is routine stuff, they do that all day long. Spying on every single American? You bet. Think Matt Damon and The Bourne Supremacy. Evil? Everything is rationalized, including murder, treason, grand theft, you name the crime, they do it. Where is the bulk of this stuff orchestrated? In a big unmarked NSA building half-way between Washington and Baltimore, for the most part. Any President who wants to take down the Deep State, literally the Dark Side of the Force, has to recruit 200 men with sledgehammers, round up a busload or three of US Marshals, and go raid that building and totally smash every single data server in there. It is far too dangerous to leave that stuff live. Will any President ever do that? Of course not. So: your personal freedoms are an illusion, fed by propaganda, but long gone, the Surveillance Machinery has already taken over, and is run by unnamed bureaucrats, none of whom are answerable to the President or anybody else. I have no illusions. It is unfortunate that the glory of America has ended up in the hands of the controllers of the Deep State.